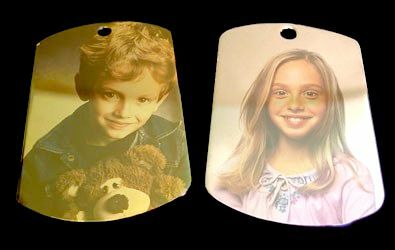 Our Custom-made Color Photo Dog Tags are made to order at your event. Your guests will receive a custom photo dog tag and chain with their picture on it. Dog tag is made of aluminum, very durable, and will last for years.